$100 discount on the University of Toronto's online course until September 30th! Offer ends midnight September 30th, 2014! The University of Toronto has 100, 120, and 150 hour TEFL certification courses. Save $100 during the September back-to-school special. 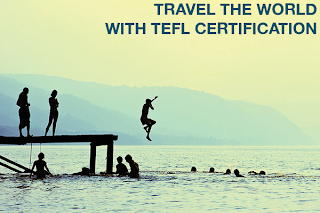 More and more employers and countries are requiring TEFL certs, so if you don't have one you should seriously consider getting one. Even though the University of Toronto does offer a 100-hour course, many employers are asking for TEFL certs with at least 120 hours, so consider taking the 120 or 150 hour one.